The sun is finally making more than a cameo appearance and for those living in the Pacific Northwest – that means it’s time to start grilling! Nothing kicks up the flavor on grilled meat, seafood and veggies like a fantastic marinade. 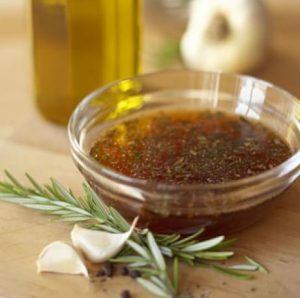 Marinades are super-simple to make and give an easy flavor boost to your dinner dishes with just a few ingredients. Take inspiration for your marinade from different cultures. Chipotle, lime, and agave add instant cha-cha-cha to your chicken. Or try ginger, thai basil, sesame oil, and hot chili paste for a bit of zen for your dish. My biggest marinade tip is: make it strong! The bolder the flavor; the bigger the taste. If you make your marinade and it tastes good – then it’s not bold enough. Pump up the flavor even more with spices, garlic, herbs, etc. Get creative! Citrus juices are common in marinades and add a big hit of brightness to smoky grilled flavors. Keep in mind that marinating with citrus juices for too long can begin to “cook” your protein, particularly fish, before it even hits the heat. I like to use orange juice concentrate to really get a citrus punch in my marinade. Another quick tip: If your marinade contains sugar or honey, be sure to grill on medium-low heat to prevent burning. Honey or sugar can scorch on high heat. In a small bowl, whisk together all marinade ingredients. Lay out protein in a shallow, non-aluminum baking pan. Spoon half the marinade on the top side of each portion and rub it around, then flip the protein and spoon on the remaining marinade, being sure that all surfaces are covered. Cover pan with plastic wrap and refrigerate for at least 30 minutes or up to overnight. Grill to desired doneness. No specific time can be given as it will depend upon your heat and what you are grilling. Typically, if there are nice grill marks on each side, the food is probably close to done. You can refer to internal cooking temperatures on the Internet, but I think that most government-determined temperatures are too high. So, until you are a seasoned griller, get a small paring knife and cut a tiny “peek “into the center of what you are cooking. For poultry you will want to see no pink; fish should be just cooked and not dry; shrimp should be just pink on the outside and barely opaque inside; and steaks should be the way you like them! This marinade is a basic one, so get creative here, too, when you feel ready. Practice makes perfect. And grilling is “rustic,” so if you make a mistake, it is not the end of the world—just jump back in and try it again soon. Keep refrigerated for up to 2 days. Marinate fish, shrimp, scallops or chicken breasts for at least 4 hours or up to 8 hours. When I think of Maple Syrup, I can’t help but think of warm and fuzzy memories – especially about breakfast. So where does this d’lish treat come from? The mighty sugar maple tree! Quebec is by far the largest producer of this sticky syrup – producing 70 percent of the world’s supply. Thanks Canada! There are several grades of syrup – ranging from extra light to extra dark – each with their own flavor profile and characteristics. But this sugary delight isn’t just for sweet breakfasts or desserts. That’s right – maple syrup is delicious in savory dishes too! Added to a pot of slow-roasting baked beans; in a salad vinaigrette; or even a pork marinade. Or how about some maple roasted veggies, finished with sea salt and topped over a piping hot bowl of creamy polenta – yum! 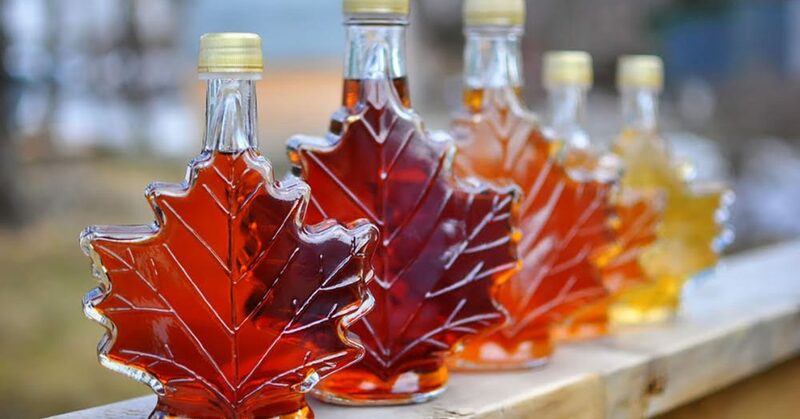 So branch out – and discover all that maple syrup has to offer. In a medium bowl, whisk together the maple syrup, vinegar, mustard and shallots. Combine the two oils and then, while whisking continuously, drizzle the oil into the syrup mixture. The dressing should be well mixed and emulsified. Whisk in the seasonings. Store covered in the refrigerator for up to 3 weeks. Rewhisk before using.